Musgrave Little and Great, are two very small Anglo-Saxon villages named after the Musgrave family. The Musgraves grew in wealth and status with Lord Thomas Musgrave marrying Sir Andreas de Harcla’s sister Sarah and moving to Hartley Castle, Hartley. There the Musgrave family thrived and were knighted. Two Sir Richard Musgraves are buried in Hartley Chapel, Kirkby Stephen Parish Church. Eventually, through marriage the Musgraves moved to Eden Hall and Hartley Castle was abandoned. One Sir Richard is said to have killed the last wild boar in England on Wild Boar Fell, Mallerstang with the Boar’s tusk on show in the church. The church of St Theobald, on the edge of Great Musgrave, dates from 1845–46, but two earlier churches (the first dating back to the 12th century) stood nearby next to the River Eden. Unfortunately they were built too close to the river and were subject to flooding in 1822 with the water rising to 3 feet (0.9 m) deep in the church. 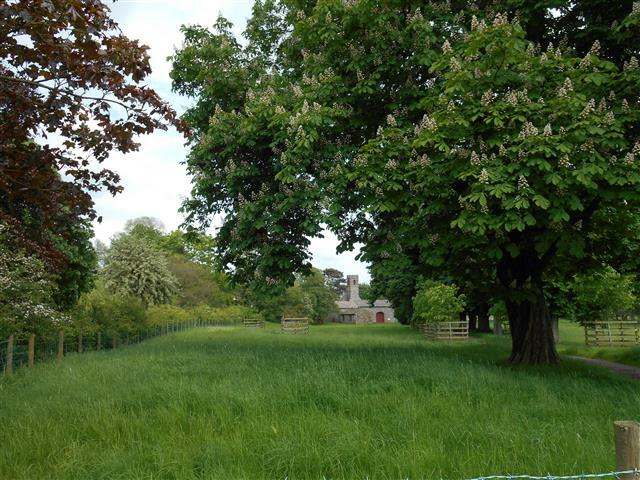 The Musgrave Church Field Trust was established in 2004 to buy the four acre field and buildings next to the church. The Tithe Barn rebuilt in 1759 on medieval foundations has been restored. The ancient Rushbearing ceremony is held at Musgrave every year on the first Saturday in July. Traditionally, girls would dance from Brough carrying flowers to St Theobolds. The boys would collect fresh rushes and they would be laid on the floor on Rushbearing Day. Girls now make their flowers into crowns and the boys make rush crosses which stay in the church until the next year. Twelve young maidens from the Brough area take part because there are not enough girls in Musgrave.